I want to let you know that The Practice Building Workshop special in our webstore will end on December 31st. If you’re a coach, therapist, or other service professional who wants to know exactly what to do to build a successful, referral-generated practice, I invite you to take advantage of the offer. The Practice Building Workshop is only $99 and you can order it here and get the digital download right away. I love this time of year when we move beyond the busyness of the holidays and have a chance to stop and reflect before the New Year, New You, lose weight, set goals, ‘get-your-act-together’ energy descends upon us. I went for a long walk today to mull over 2014. As I trekked up and down the hills around our neighborhood, I thought about lessons learned and the challenges that made me grow. Then, on the final stretch, I made a mental list of what I enjoyed most. When I came home, I sat down and wrote a prescription for 2015. Rather than set new goals or make resolutions, I decided to build on what’s working already. Here are some of the guidelines I want to use in 2015. Stop worrying about doing what’s right and do more of what makes you happy. Be willing to open your heart and home to people you don’t know very well because they often deliver wonderful surprises. The moment you feel stuck and indecisive, do something – anything. Don’t waste emotional energy going back and forth, in and out, up and down. Just make a choice and take action. Schedule more adventures. Don’t play it safe. When you catch yourself feeling excited about doing something new and trying to talk yourself out of it because you feel nervous, let those conflicting feelings be a sign to go for it. Keep moving your body every day. Trust your gut even when it tells you to do something silly or strange. Remember: Your intuition works. 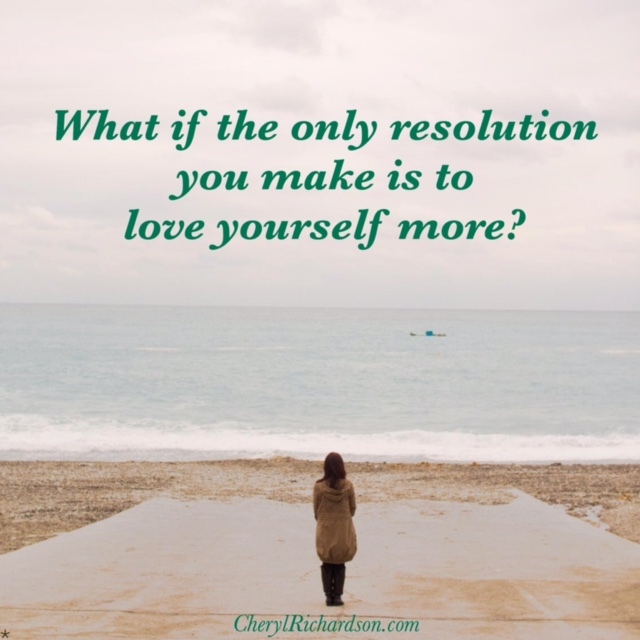 What could I do to love myself more? Because when all else fails, love won’t. Enjoy a healthy, relaxing, and prosperous New Year! This week’s video is fun. The grocery store set up 13 hidden cameras to create this holiday surprise. Check it out here. Thanks, Kelly!